The historic election in November legalized recreational marijuana in California and several other states. What are the first online branding strategies that new marijuana businesses should employ? Your first year digital marketing goals are crucial to your ongoing success. To that end, here are some digital marketing suggestions for new cannabis businesses. Unique Sales Proposition: Are you conveniently located? Do you plan to focus on great customer service? Is your inventory larger? These are all considerations in developing an online business strategy. What makes your business different? Why should I shop at your store? Once your store opens have diversity on your staff. Women and older customers are a fast growing source of cannabis product sales. Consider having products in your store that are diverse and even gender specific. Logo and Branding: Your logo should be professional looking, and pleasing to the eye. A good way to see what logo colors you like is to look at some existing websites. They do not have to be from the cannabis industry. Consider using colors other than green. Green is an overused color in the industry. Develop an Ongoing Marketing Plan: You need a 1-3 year marketing strategic plan. The goals will be different each year. The cannabis industry is crazy busy. It is hard for managers to even think about digital marketing, let alone manage it themselves. A professional cannabis marketing agency can: help you with design and branding, new website, provide local marketing, social media marketing, and suggest recommended the right cannabis directories. Note: Plan to spend at least $1,000 or more on monthly marketing initiatives. You should also spend 80% of your marketing budget on your website, SEO, and local marketing. Social media is cool, but it drives less than 5% of traffic to your Brand. Put your money where it can make the biggest difference. New CMS Website: Your new website is the only online marketing tool that you have 100 percent control over. There are some in the cannabis industry who do not think you need a website. These people think that social media, or high customer demand will do the trick. This is a huge mistake. Your website is your hub for all your digital marketing efforts. Your social media links to your website, as do your local listings. Google is the king of online revenue and how people will find you. Make your website Google friendly right away. 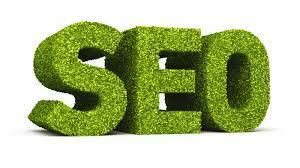 Search Engine Optimization (SE0): 80% of all cannabis product searches come from Google organic searches. You cannot outrank your competition in 2017, unless you implement SEO immediately. SEO is key in the cannabis industry because there is very high search volume in Google for Cannabis products. There are only 10 spots in Google for every heavily searched phrases (California recreational dispensary). Make sure your website can be found. SEO is the best way to tap into Google organic traffic. Have someone who is an expert does this for you. It will pay for itself, over and over. Local Marketing and Local Directories: It is key to create a Google My Business Account. This is how most people will find you while doing smartphone searchs. It is important that you use the EXACT same local address information from your website. (Phone, Address, Name). You cannot use a 800 number on any local listing. Therefore, you need a local number for your website, that is the same on your local listings. Local traffic is the best traffic of all. Get a Yelp Business Account too. Encourage customer reviews on Google and Yelp. You do not want your reviews to be on Weedmaps or Leafly. You want to promote your business directly through your local listing sites. Create Business Social Media Accounts: You cannot use personal social media accounts for your cannabis business. Sign up for the following social media BUSINESS accounts: Facebook, Google Plus, Twitter, and Instagram, and MassRoots. All accounts should have the same branding and graphics. It is currently illegal to have product pricing, or to pitch your cannabis products excessively on social media channels. Be cautious in your social media posts. Cannabis businesses are also not allowed to “boost posts” on Facebook. Online Directories: Cannabis directories are popping up everywhere. The biggest are Weedmaps and Leafly. Both of these directories charge at least $500 per month, per business location, to have an online directory listing. The biggest benefit of Weedmaps and Leafly is that they allow you to have online inventory, and to also display your products on your own website. Tip: Do not spend extra money with Weedmaps or Leafly for premium listings. They are too expensive. Get a basic listing only. Other Advertising: If you consider and print advertising, or radio advertising, make sure you can track the results. You can place special phone numbers on ads that can be traced back to the ad, when customers call you. Consider QR-codes for print ads too. Again, do not overspend on traditional advertising channels. (Radio, Print Advertising, Local Events, and expensive online directories). Conclusion: Hire an expert company to execute you digital marketing strategy. Industry experience is not as important as a proven track record. Have your marketing company help you develop an ongoing digital marketing program. Quality experience in all aspects of digital marketing, graphics, and branding, is what you need to look for. And, a company that is not too big. You want to be one in a million. Not one of a million.